Pablo Casado Blanco is a Spanish politician, and member of the People’s Party (PP). He was born in Palencia on February 1st, 1981. He is a collegiate economist and lawyer. He has performed different roles within the People’s Party. He was the president of the New Generations of the People’s Party in Madrid between 2005 and 2013. Between 2007 and 2009 he was elected deputy at the Community of Madrid Assembly and performed roles as spokesperson in different fields, such us Justice and Public Administration. In addition, he was the president of former Prime Minister José María Aznar’s cabinet. He held this position between 2009 and 2012. He was elected Congress deputy in the general elections that took place in 2011, position that he still holds nowadays. Pablo Casado Blanco graduated in Law and Business Management. He holds a Master degree in administrative law. In addition, he holds the Certificate in Legislative Studies (CLS), issued by the Governmental Affaires Institute of the university of Georgetown (Washigton) and the DGP, issued by the Kennedy School of Government of Harvard University. 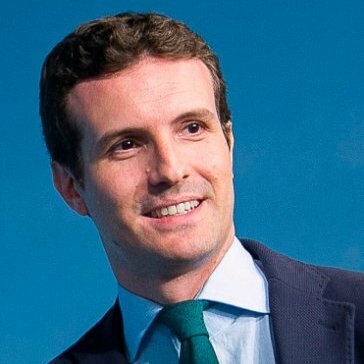 Pablo Casado Blanco is a fellow of the SAIS (School of Advance International Studies of Jonhs Hopkins University, Washington) and a visiting professor at the Global Leadership and Competitiveness Program of Georgetown University.